CND is always known for their maximum nail art on the runway. This season's collaboration with Libertine was no exception. Nail artists in the CND Design Lab used Vinylux for a bright base. 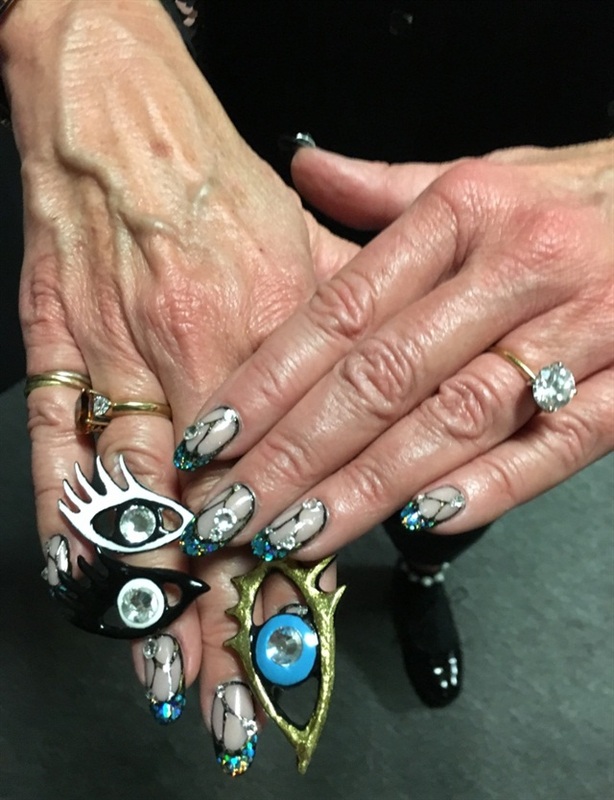 They then used a mixture of CND products (Shellac, Liquid & Powder) to form eye-popping (literally) nails. This season's Artist in Residence at the CND Design Lab is NAILS NTNA Top 5 contestant Torie Bastian. Designer Johnson Hartig incorporated the eye onto several of the garments that walked the runway. (Another prominent design was a manicured hand bedazzled with crystals!) 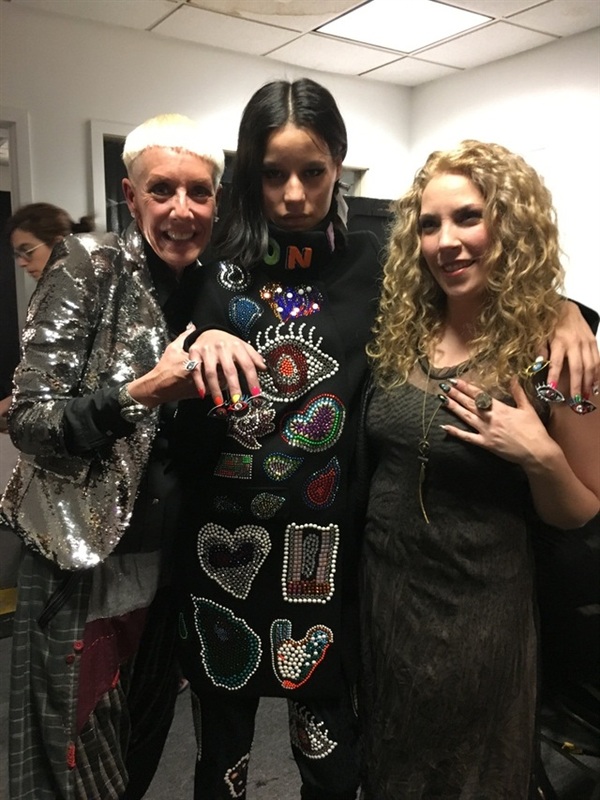 Other models wore a cigarette print on the clothing, which was actually inspired by a necklace CND co-founder and style director Jan Arnold owns. 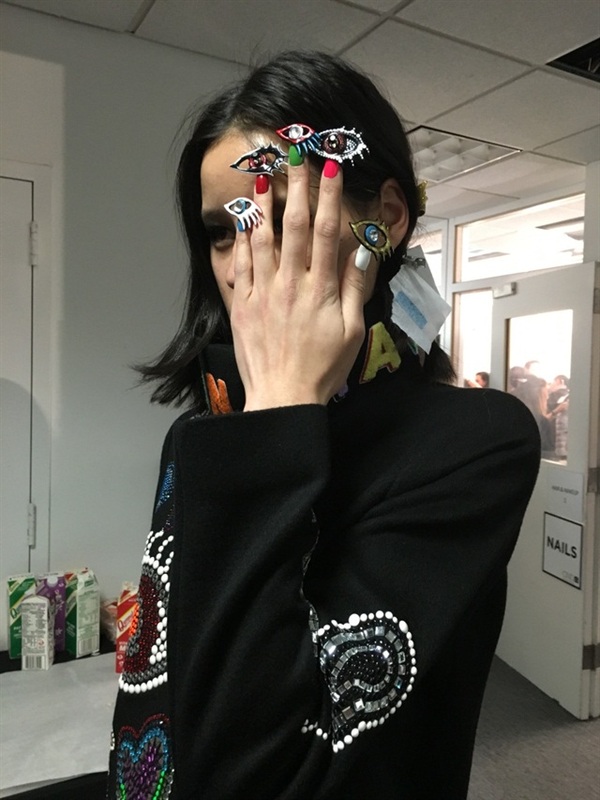 Male models wore the eyes as stackable rings in lieu of the colored base nails. The eyes were also worn as pins on several of the outfits, Hartig was so pleased with how they turned out. Because Hartig is known for playing with the sheen of sequins, CND also made matte nails for some of the models to contrast with the shine of the eyes and bright pops of color. To see the complete runway show, tune in to our Periscope (it's only live for 24 hours!) here and here.